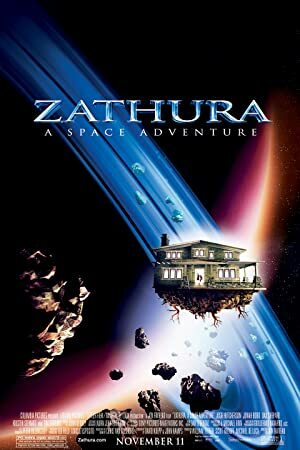 Zathura: A Space Adventure (2005) – What's New on Netflix Canada Today! Two young brothers are drawn into an intergalactic adventure when their house is hurled through the depths of space by the magical board game they are playing. Danny and Walter are two brothers who barely get along even while driving their parents to distraction as their older sister tries to ignore them. Despite their squabbling, the brothers manage cooperate enough to play an old mechanical board game named Zathura. However, after their first move, they find that the game has apparently flung them, their sister and their entire house into outer space. Furthermore, the brothers surmise the only way to return home is to finish the game. However with almost every move, new dangers arise as the siblings find themselves learning to cooperate in ways they never expected as they realize what they mean to each other.